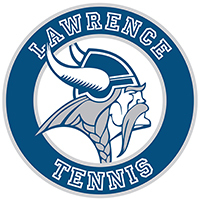 ORLANDO, Fla. — The Lawrence University women’s tennis team picked up a doubles victory in an 8-1 nonconference loss to Calvin College on Tuesday during the Vikings’ spring break trip. The No. 1 doubles team of Katie Frankel and Lindsay Holsen posted an 8-4 victory over Claire Spoelhof and Ellie Benzel. Holsen was also winning her No. 2 singles match against Jessica Bouma when she had to retire due to injury. ORLANDO, Fla. — The SUNY-New Paltz women’s tennis team posted a 9-0 nonconference victory over Lawrence University Tuesday during the Vikings’ spring break trip to Florida. ORLANDO, Fla. — The Hamline University women’s tennis team posted a 6-3 win over Lawrence University Sunday as the Vikings opened their spring break trip. Lindsay Holsen posted a pair of victories to lead the Vikings (6-7). Holsen rolled to a 6-2, 6-3 victory at No. 2 singles and teamed with Katie Frankel for a 9-7 win at No. 1 doubles. El Goblirsch was the other winner for the Vikings as she took a 6-3, 6-3 victory at No. 6 singles. APPLETON, Wis. — The Grinnell College women’s tennis team posted an 8-1 Midwest Conference win over Lawrence University on Saturday afternoon at the Lawrence Courts. The Vikings’ lone victory came from El Goblirsch at No. 6 singles. Goblirsch and Eden Gregory split the first two sets, with Goblirsch winning the first 6-2 and Gregory winning the second 6-4. Goblirsch then won the super-tiebreaker 10-6 for the victory. Lawrence finished its league season with 5-4 conference record and a 6-6 overall mark. Grinnell improved to 8-1 and 7-0 in the conference. APPLETON, Wis. — The Lawrence University women’s tennis team fell 9-0 to Cornell College in a Midwest Conference match Saturday morning at the Lawrence Courts. Lawrence to 6-5 overall and 5-3 in the league. Cornell improved to 9-2 and 6-1 in the conference. OSHKOSH, Wis. — The Lawrence University women’s tennis team kept its streak of dominance alive against Ripon College with a 9-0 Midwest Conference win over the Red Hawks on Thursday at the YMCA Tennis Center. Lawrence (6-4, 5-2 MWC) has now beaten Ripon (6-8, 3-4) 13 consecutive times in a streak that dates back to the 2004 season. Lawrence rolled through the doubles as both the No. 1 team of Katie Frankel and Lindsay Holsen and the No. 2 duo of Annie Harincar and Alicia Lex won 8-0. The Vikings also posted three 6-0, 6-0 wins in singles as Holsen at No. 2, Lex at No. 5 and Katie Nottberg at No. 6 all won without dropping a game. Frankel won in straight sets at No. 1 and Harincar at No. 3 and Shannon at No. 4 both won a third-set supertiebreaker to claim victories. APPLETON, Wis. — The Gene Davis Invitational highlights another busy Saturday on the Lawrence University campus as the Vikings host five home events that day. 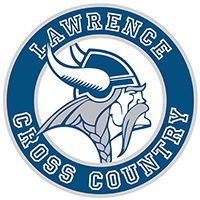 Lawrence cross country will run its home invitational at Reid Golf Course on Saturday morning. 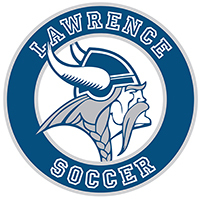 When and Where: Tuesday, Oct. 4, 4 p.m., Muskie Soccer Field, Plymouth, Wis.
Series: In a series goes all the way back to 1974, Lawrence holds a 15-8-2 lead. The Vikings posted a 2-0 win over the Muskies last season. When and Where: Saturday, Oct. 8, 1:30 p.m., Ron Roberts Field at the Banta Bowl. 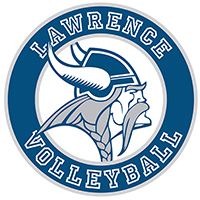 Series: In two tries, Lawrence has yet to defeat Maranatha Baptist. The Vikings played to a scoreless tie in the first meeting in 1995, and the Sabercats won 3-1 in 2015. Fast Fact: Lawrence could be without starting goalkeeper Joe Krivit this week after he was injured in a loss to Lake Forest last Saturday. Taylor Reifert picked up a goal against Lake Forest and is now tied for the team lead with four goals. When and Where: Thursday, Oct. 6, 5 p.m., Lawrence Courts. When and Where: Saturday, Oct. 8, 9 a.m., Lawrence Courts. When and Where: Saturday, Oct. 8, noon, Lawrence Courts. Fast Fact: Lawrence is looking to keep its winning streak alive against Ripon. The Vikings have defeated Ripon 12 consecutive times, and that streak dates back to the 2004 season. When and Where: Friday, Oct. 7, 7 p.m., Alexander Gymnasium. Series: Monmouth has a 12-5 edge in the series since 2000, but Lawrence has won the last two meetings. When and Where: Saturday, Oct. 8, 1 p.m., Alexander Gymnasium. Series: Lawrence has beaten the Prairie Fire seven consecutive times and holds a 12-5 lead in the series since 1999. Fast Fact: Junior Cyra Bammer ranks third in the Midwest Conference at 4.49 digs per set. Lawrence piled up a season-high 69 digs in its win over MSOE. When and Where: Saturday, Oct. 8, 10 a.m., Reid Golf Course, Appleton, Wis.
Fast Fact: Lawrence sophomore Josh Janusiak was named Midwest Conference Performer of the Week after turning in the league’s fastest time at the Brissman-Lundeen Invitational. Running in oppressive heat and humidity in Rock Island, Ill., Janusiak finished 15th after covering the 8,000 meters at Saukie Golf Course in 25:55.6. That is the fastest time in the league by five seconds. When and Where: Saturday, Oct. 8, 1 p.m., Macalester Stadium, St. Paul, Minn.
Series: Macalester holds a 7-4-0 lead in a series that was first contested in 1948. Macalester has won three straight in the series, and perhaps Lawrence’s most memorable win was a 13-10 victory in the Banta Bowl in 2001. The “Immaculate Deflection” game saw the winning touchdown scored by the Vikings in the final seconds when a pass deflected off the shoulder pads of Zach Michael into the waiting arms of Chris McGinley in the end zone. Fast Fact: Lawrence rushed for 348 yards in a 36-22 win over Beloit, and that is the most yards gained on the ground by the Vikings since a 2006 win over Grinnell. Lawrence also had two 100-yard rushers in quarterback Ryan Butterfield and running back Wasonu Allen. Butterfield ripped off an 82-yard touchdown run, the second-longest run play in Lawrence history.